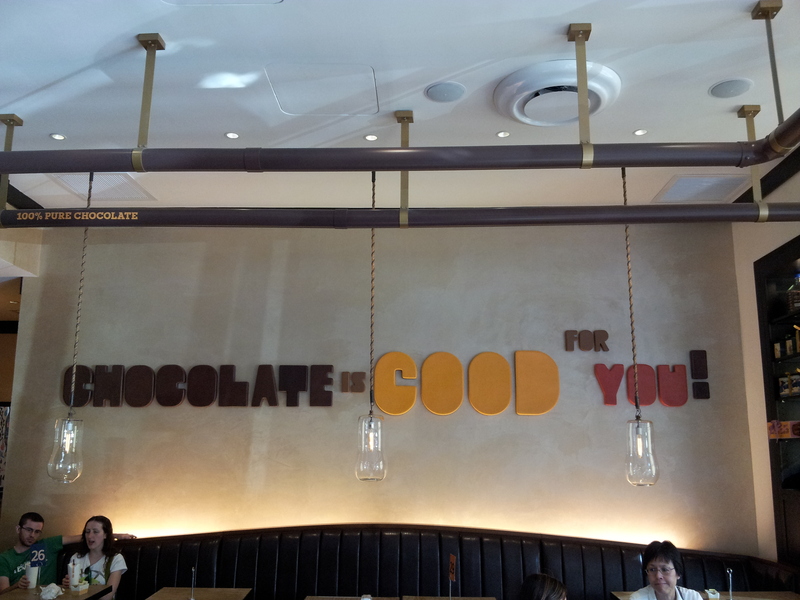 Max Brenner Chocolate Bar opened up earlier this month right next to Jaleo in downtown Bethesda. The only reason I knew is that my friend The Chicken sent me some photos of the s’mores pizza and crepes she’d shared with her kids. Their verdict? Pretty good but stomach-ache inducing. I decided to check it out, with bottle of Pepto at the ready. This part of Bethesda’s generally overrun with harried parents chasing small children, strolling small children, and wrangling small children. Not surprisingly, many of those families are taking their kids here. At one point during my last visit, I got worried about the safety of their fondue grills. Open flames and kids amped up on sugar/caffeine–hmmm. Here’s to hoping that the tables aren’t wobbly. 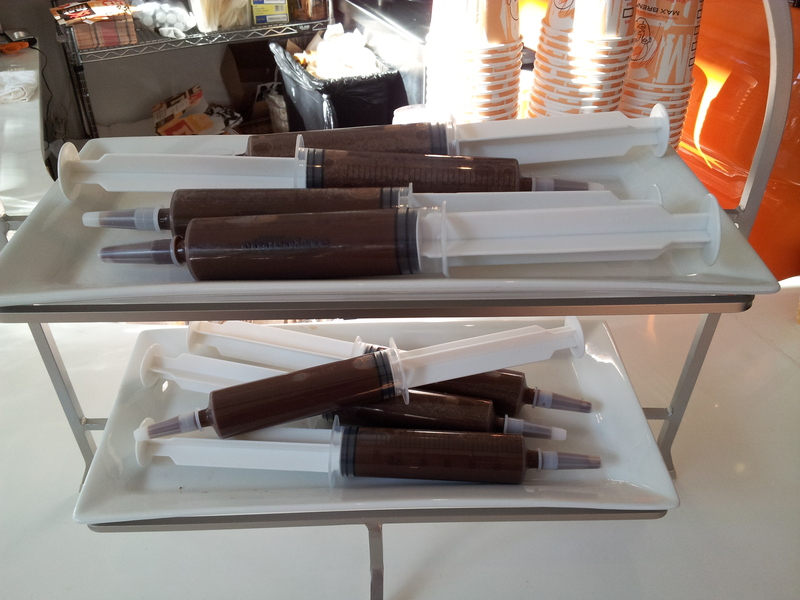 It’s family-friendly, although some kids may be asking their parents what a “chocolate syringe” is. See photo #2 above. Although you can eat-in, you’re not paying for a waiter. You order at the counter, then they bring your goodies to you. There was a gap in the market for a dessert bar in Bethesda. Sure, there’s Georgetown Cupcake, Tout de Sweet, Fancy Cakes by Leslie, and various froyo options. But none of them offer a proper sit-down experience. No wonder Washingtonians (Bethesdans?) are lining up for $15 crepes and $8 milkshakes. Although I did manage to avoid a gastrointestinal fail on both visits, I can’t see myself returning here often. There’s a big novelty factor that wears off fast. The first time I went was to check it out. The second time was to take an out-of-town guest. 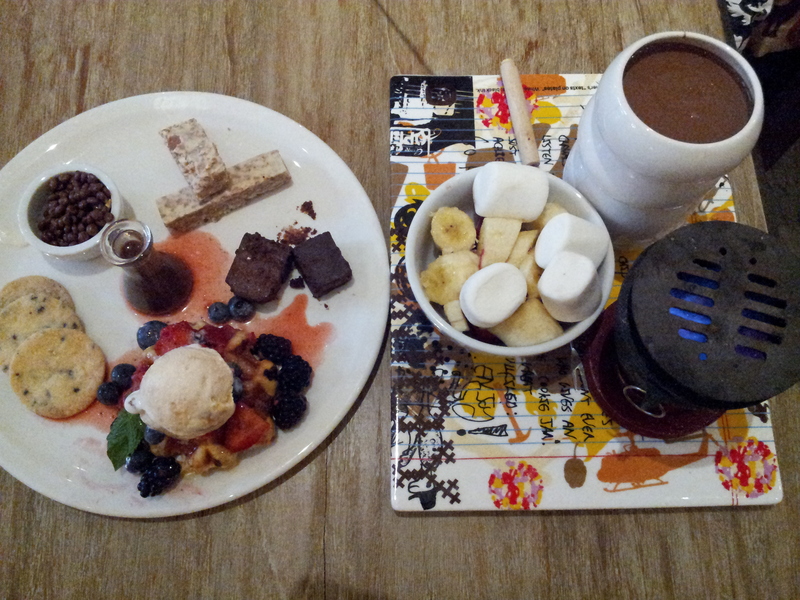 Everything that I ordered was good (lava cake combo the first visit; milk chocolate fondue the second). Nothing that I ordered was to-die-for. But if you’re a kid, it’s probably heaven. Kate Middleton’s due in July, so I thought the timing was appropriate for posting about these scones I made earlier this year. Afternoon tea is one culinary tradition we can’t fault the Brits for. Imagine how much nicer people would be if we all took an afternoon break to nurse a hot mug of tea and nibble on tiny pastries. Bet it’d go a long way toward alleviating road rage during the evening rush hour. 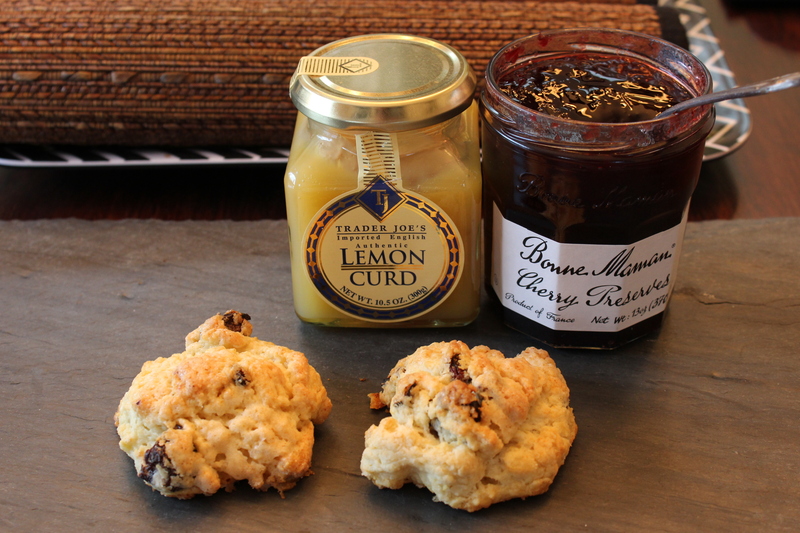 Easy-to-make lumpy, bumpy lemon scones with dried cherries. If you make them yourself, you can customize the ingredients by adding whatever combination of chocolate chips, dried fruit, nuts, and flavored glazes you want. Just be mindful not to overwork the dough. You need those pieces of cold butter to stay solid so they can create pockets of fluffiness while baking. 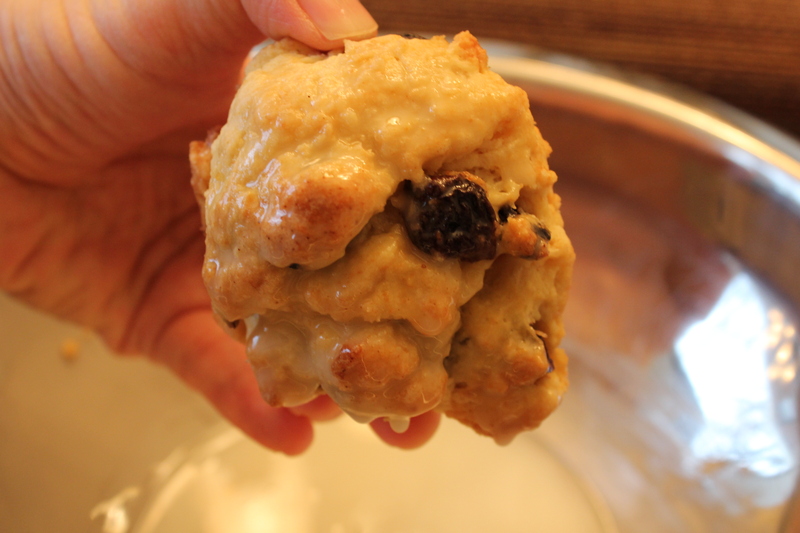 I used this recipe for Meyer lemon scones from the White on Rice Couple, substituting dried cherries for cranberries. They were mighty tasty with jam. If you’re feeling extra fancy, you could also whip up some cream to serve with these, and pretend you’re having high tea at Claridge’s. I’ve also seen jars of the aptly named clotted cream for sale at Dean & Deluca, if you want to get super authentic. Golden Brown Delicious is one of the latest restaurants in DC to offer the crowd-pleasing fried-chicken-donut combo. One of the chefs behind GBD is pastry maestro Tiffany MacIsaac of Birch & Barley. So I was looking forward to tasting her handiwork. Every bite of this donut includes the perfect key lime curd. 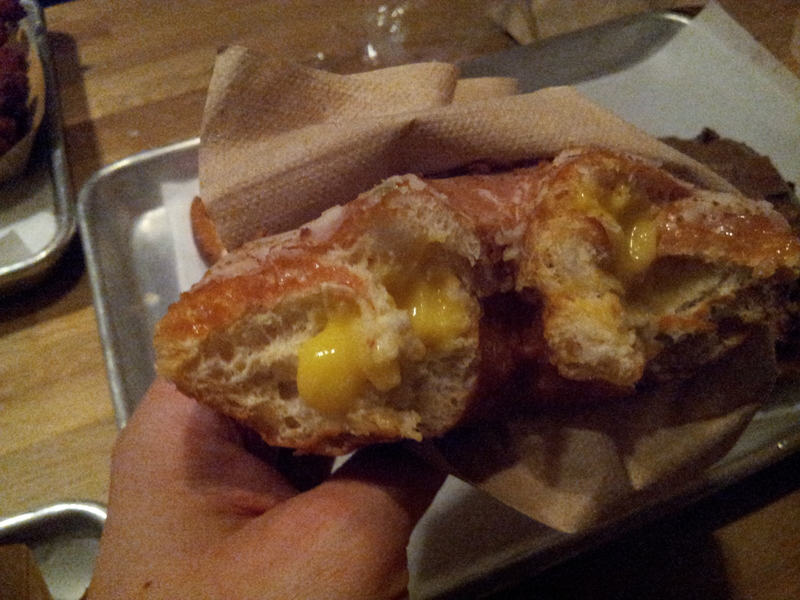 The star of our meal was the key lime curd brioche donut, thanks to its mouth-puckering filling. I have a hard time finding lemon/lime desserts that meet my stringent tartness requirements. This one did. Mr X-sXe was particularly interested in the tres leches donut. He’d gotten addicted to the same flavor at Doughnut Plant in NYC, where the tres leches had literally left him speechless the first time he bit into one. Although it wasn’t bad, GBD’s version didn’t live up to that gold standard: it needed more filling to balance out the dryness of this cake donut. While too treacly for my taste, the glaze on the bourbon butterscotch brioche donut was a nice foil to the saltiness of the bacon. This one’s for die-hard fans of salty-sweet concoctions. 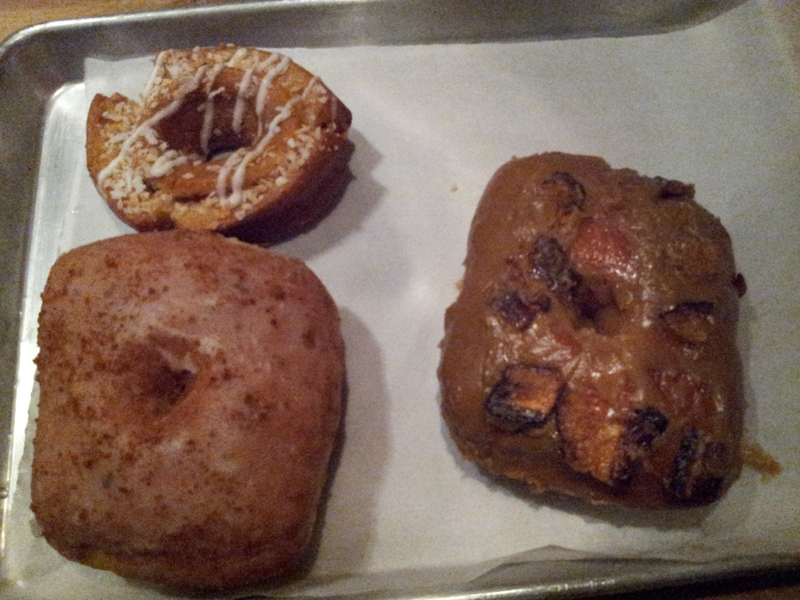 Clockwise from left to right: the tres leches, bourbon butterscotch with bacon, and key lime curd. My one regret is that we didn’t try the passionfruit flavor while we were there. The lady at the register mentioned it was one of her favorites. PS: If a restaurant’s fried chicken leaves you pining for Popeye’s, it probably shouldn’t be one of the headliners. Unfortunately, there was nothing remarkable about the bird here. Fortunately, the creamed kale and biscuit sides rescued the savory part of the meal from bland-ville. 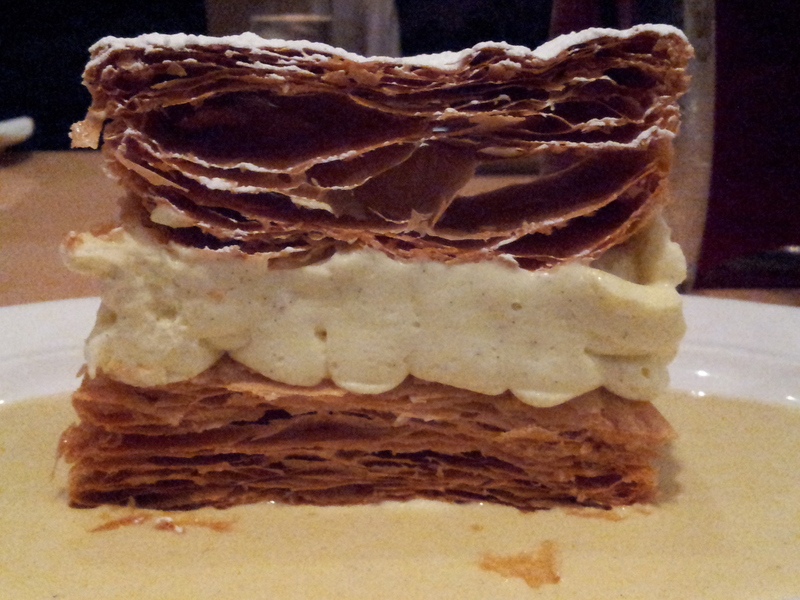 Now that’s a napoleon (mille-feuille)! A while back, I had the good fortune of stuffing my face at a work lunch at Central in downtown DC, a Michel Richard joint. 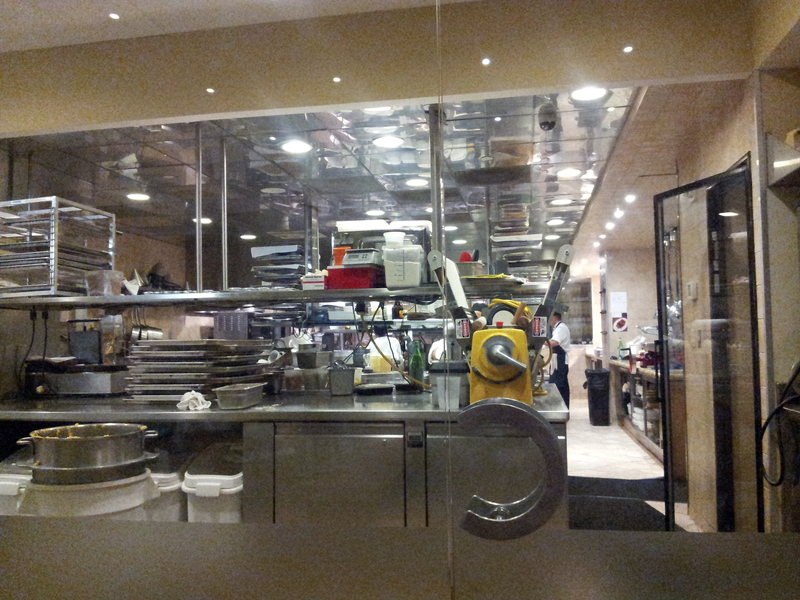 The chef’s known for his playful turn with foods (as well as looking a lot like Santa Claus). A profile of Richard that ran in The Washington Post many years ago revealed one of his culinary inspirations: KFC’s fried chicken. Yup, his haute cuisine is inspired by the Colonel. That gives you some insight into why his creations, sweet or savory, are big on contrasting textures and often have a crispy element. Those of us who didn’t order Michel’s crunch bar were jealous of those who did. Without further ado, here’s a rundown of the 3 Central desserts we tried. The restaurant’s best-known treat is Michel’s chocolate bar, the chef’s Kit Kat-inspired happy ending. This was chocolate-y without being cloying, and had a nice crispy texture. 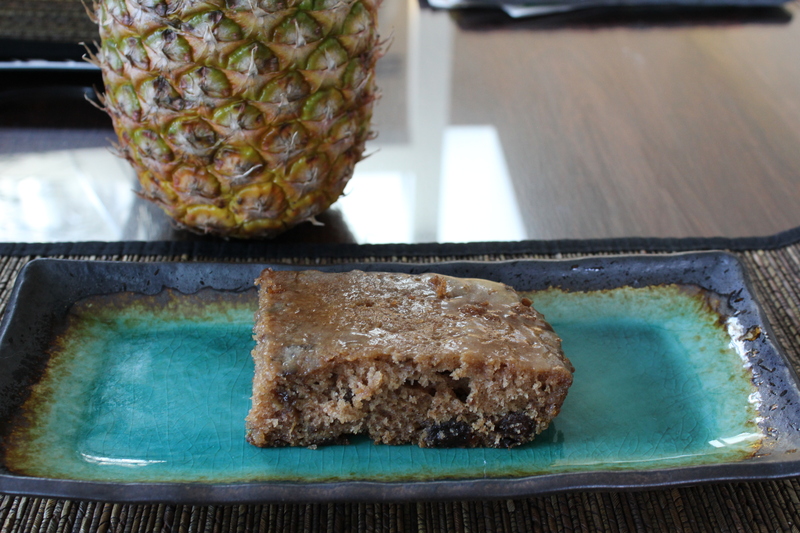 If you’re unsure which dessert to try, go with this one. It was the all-around favorite. The gimungous size and presentation of my napoleon made for some envious looks around the table. But the layered pastry and cream, while delicious, needed a little kick. 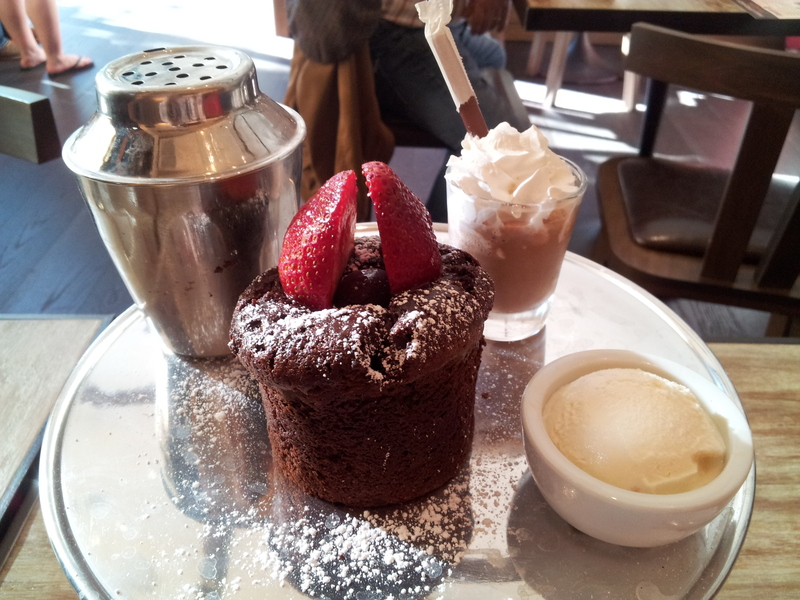 A drizzle of chocolate or fruit puree, or even the traditional napoleon icing, would’ve made for less monotonous eating. 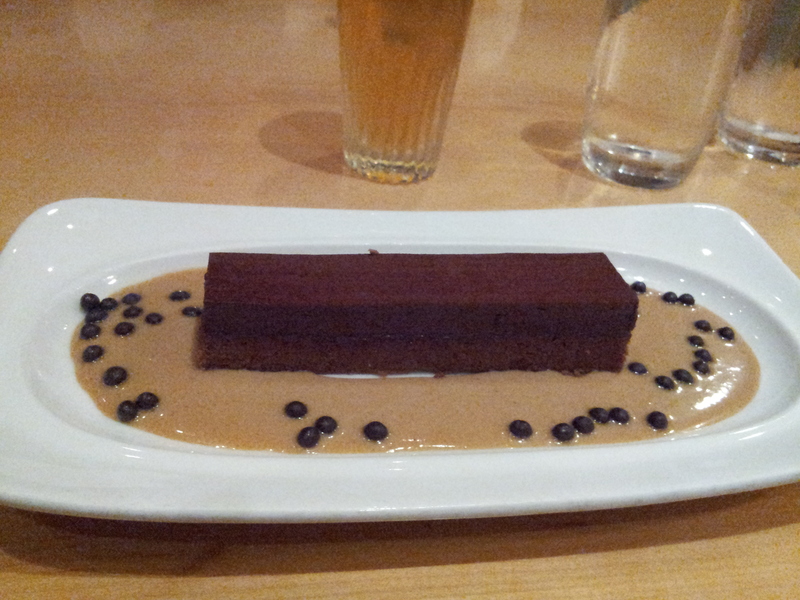 It’s unusual that I don’t finish a dessert, but I left some of this on the plate. The lemon tart didn’t find many fans at our table. 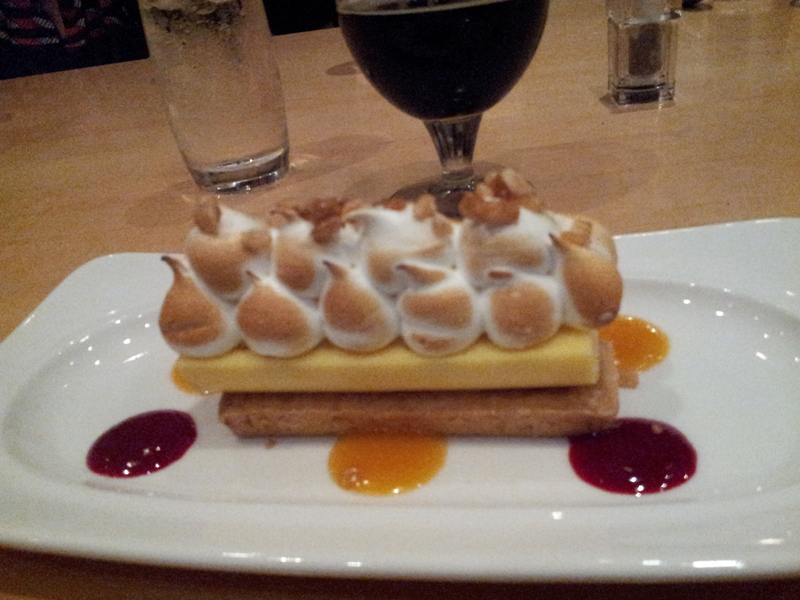 My comrades in gustatory indulgence who ordered this lemon tart weren’t super happy with it. It’s a layer of shortbread topped with bland lemon mousse topped with meringue. Next to the more showstopping dessert options, this one’s a dud. Central’s kitchen, where the pastry magic happens. 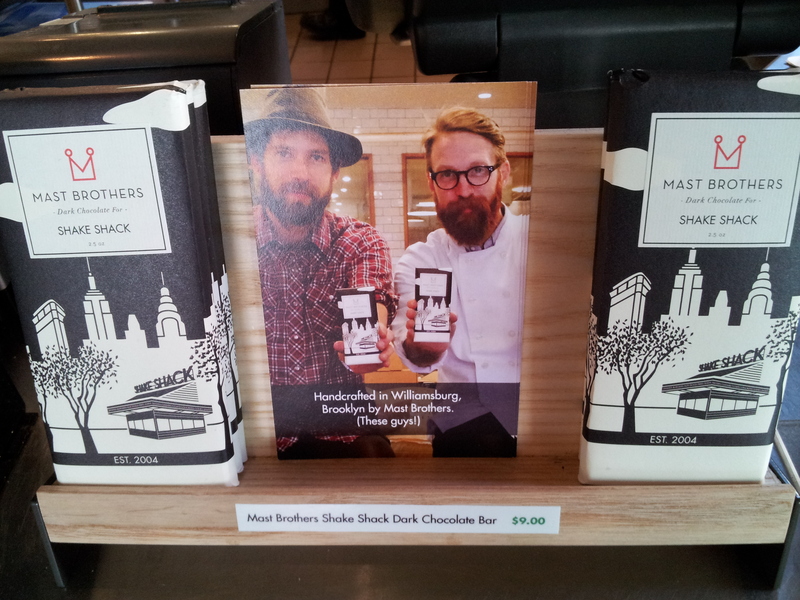 This Mast Brothers-Shake Shack bar (available at the cash registers at the Dupont Circle Shake Shack) perplexed me. Was there burger or bacon in the bar? No, it’s just dark chocolate. Apparently the only connection is that they’re both based in NYC. 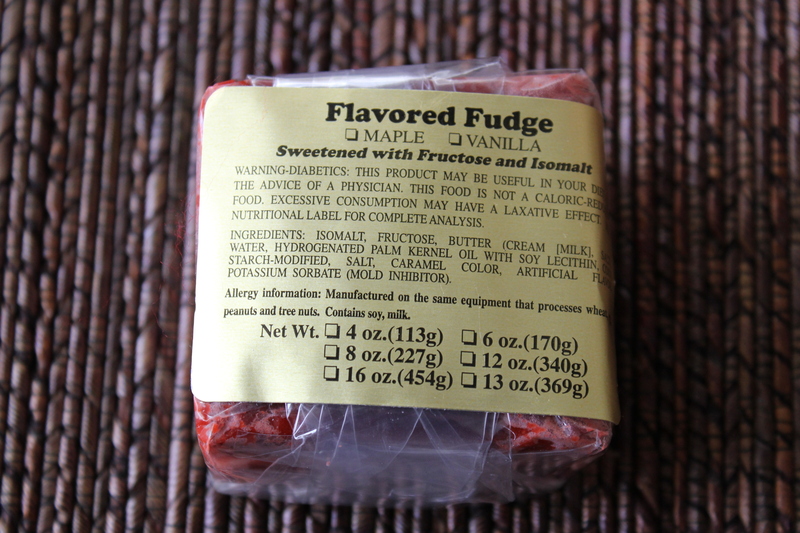 Beware your bowels, screams the label on the back of this chunk of red velvet fudge. Ms. Pie brought this gem back from Reading Terminal Market. Noteworthy because (1) it’s telling diabetics to talk to their doctor about incorporating it into their diet–like, reach for red velvet fudge when your blood sugar’s low? Dubious marketing. (2) I’ve never seen a diarrhea warning on candy that didn’t have artificial sweeteners. But I appreciate the heads up. 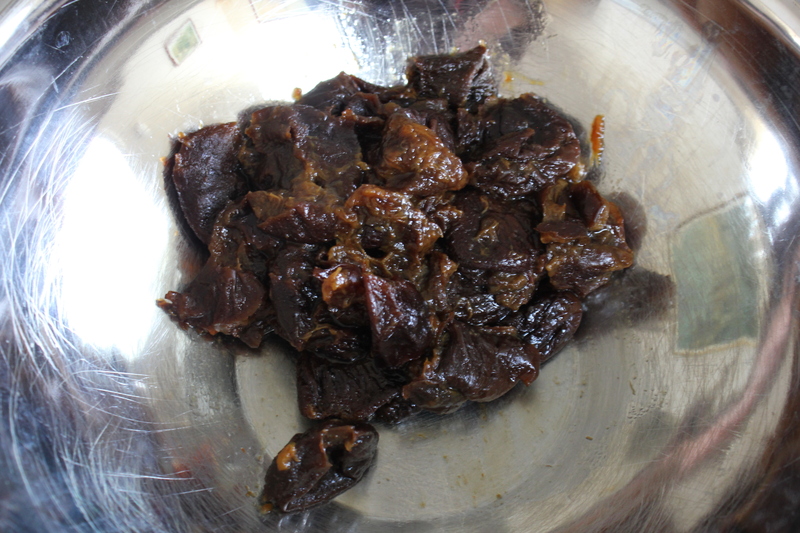 A steaming bowl of mashed prunes isn’t exactly an auspicious start to a cake. In fact, it can do the opposite of whetting the appetite. Yet this prune cake with buttermilk icing from the Pioneer Woman’s really, really good. Like a mild spice cake without the annoying cloyingness you can get from too much molasses and/or brown sugar. The buttermilk icing gives the entire thing a caramelly finish. I suppose if she called it dried plum cake, it wouldn’t sound that much better. Seriously, though, no matter your feelings for prunes, this is a cake worth trying if you’ve got some extra buttermilk in the fridge. You can cut back on the sugar without hurting the taste (I cut back to 3/4 cup for the cake and 3/4 cup for the icing. I didn’t end up using all of the icing.). Provided you don’t over-mix the batter, you get a super fluffy, moist cake that will having you re-evaluating your preconceived notions of prunes. 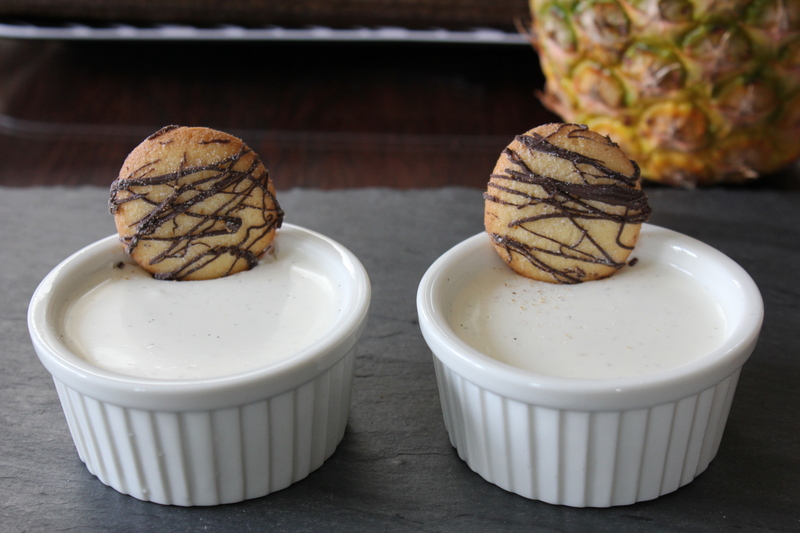 Buttermilk panna cottas, accessorized with lemon cookies from Trader Joe’s. Making this buttermilk panna cotta (inspiration: a recent Cupcakes and Cashmere post) brought me back to my childhood, where rainbow jello was on heavy rotation. Ok, so maybe the only thing they have in common is the jiggle. But that’s what I was reminded of by the texture of this gelatin-based panna cotta, something you’d serve at a dinner party for grown-ups. Whereas rainbow jello is something you’d serve at a dinner party with guests whose ages are in the single-digits, or with a tongue-in-cheek 70s theme (break out the avocado-green Tupperware!). Half the fun is peeling apart the Technicolor layers as you eat it. Photo from alphamom.com. Bemoaning the lack of jello dessert options at your local restaurant? One of the places you can still find jello options in abundant supply, apart from your local senior center, is K&W Cafeterias. I head there whenever I’m visiting my hometown in NC and need a cheap comfort-food fix. The full range of congeal options at K&W Cafeterias. Would you like yours with cottage cheese? 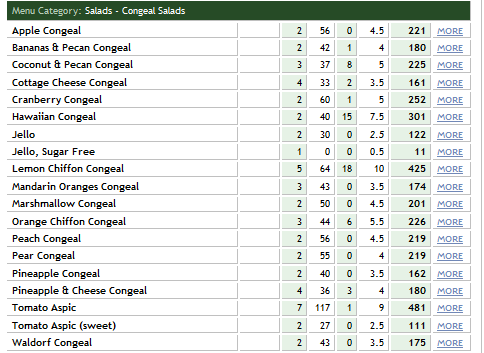 At K-Dub, they call jello congeal, not a word you’d normally associate with anything you put in your mouth. If that doesn’t make you think twice about that green, gelatinous cube with mandarin oranges suspended within like a Damien Hirst shark tank, I’m not sure what will. But back to the panna cotta. 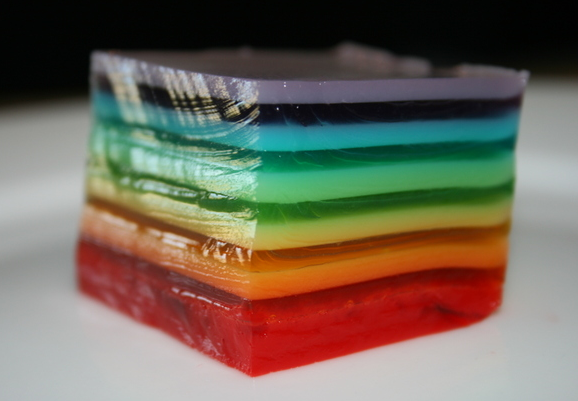 It’s not as solid and chewy as your typical block of jello, but it’s definitely got a jiggle about it. If you like the flavor of vanilla yogurt, I recommend trying the recipe mentioned above. It’s dead easy, just requires a few ingredients, and foolproof. I didn’t even bother straining the mixture, and it turned out just fine. Like yogurt, it’s best served up with a compote or fresh fruit. 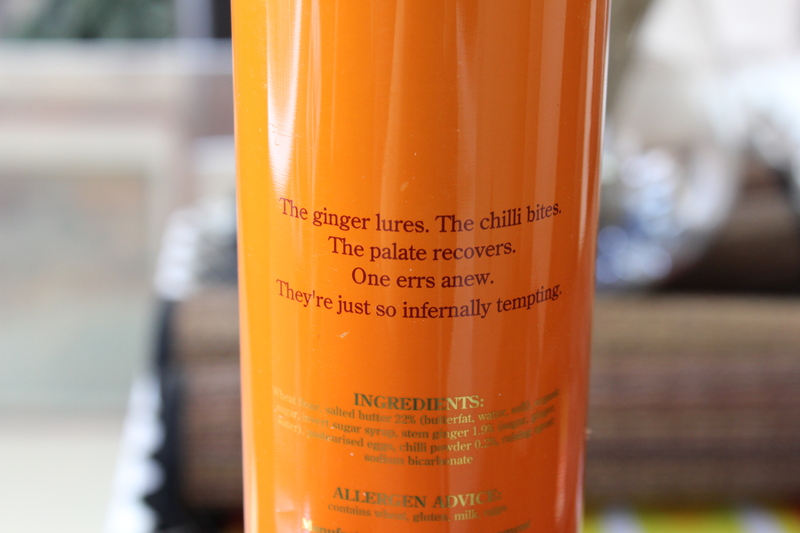 I liked it with strawberries and mangoes (if available, buy the champagne mangoes, with the yellow-orange skin. They’re sweeter than the larger ones with red-green skins and have a buttery texture). 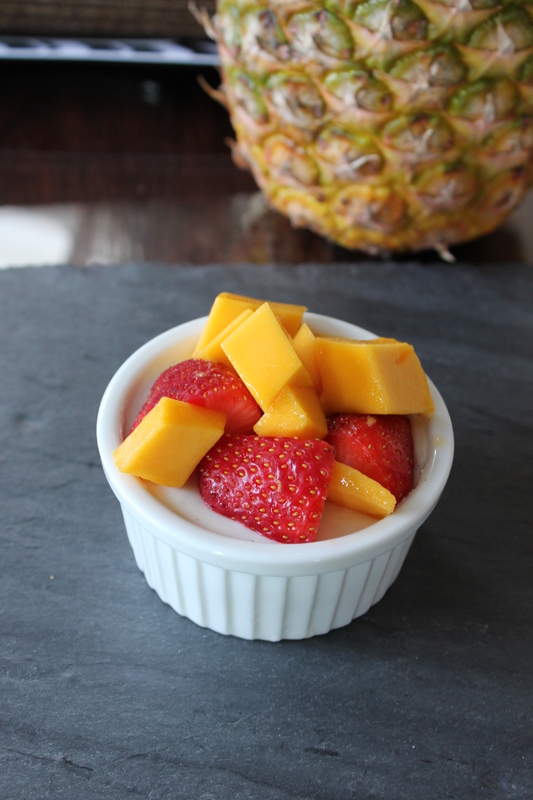 Buttermilk panna cotta tastes like yogurt, so buddy it up with fruit.